Kasaragod: A corpse of a daily wage worker was found in the forest in Adoor police station limits on Thursday evening, February 7. The deceased is identified as M K Chidananda alias Sudhakara(36) from Adoor Kanikaje Mavinadi. 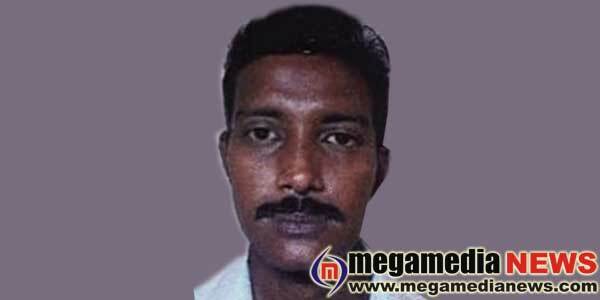 The police have arrested a neighbour of the deceased identified as Ganapa Naika (35) for interrogation. In the backdrop of Sudhakara failing to return back home after he had gone to do his work as a labourer, his family members started to look for him and eventually his mortal remains were found in the forest. The corpse has been sent to Praiyaram Medical College for autopsy. The corpse of Sudhakara was found near Adoor at Ballakana reserve forest on Feb 7th evening. The corpse was found lying face down, the head showed injuries of being hit by a stone and a blood stained stone was found nearby. Other than Sudhakar’s footprints, another pair of footprints belonging to someone else and also a Byrassu was found. Under the leadership of Adoor SI Nibin Joy, inspector M A Mathew, district crime branch DySP Pradeep Kumar police and canine unit visited the site and conducted investigation. Several times arecanut was being stolen from the farm belonging to Ganapa and Sudhakara was suspected for this. Besides, Sudhakara used to consume alcohol with his friends at Ganapa’s arecanut farm. When he was confronted, a serious argument broke out between the two. On Wednesday evening around 5:30 pm, as Ganapa was returning home after consuming alcohol he found Sudhakara sitting in the forest and consuming alcohol. During that occasion a fight broke out between the two and Ganapa hit Sudhakara in the head with a stone and thus murdered him. This was revealed during the investigation, informed Adoor Police. Youth’s corpse found within a car parked for repair!